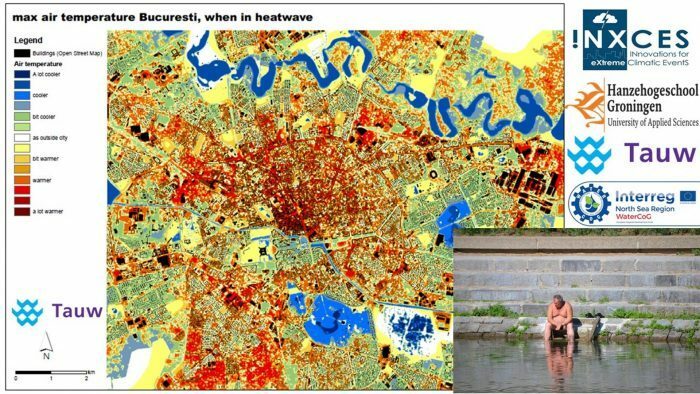 INXCES uses international, multidisciplinary research collaboration to develop technological methods for risk estimation and dealing with flooding and drought in urban regions. The Hanze University of Applied Sciences, Groningen is one of the initiators of this international collaboration. The technical scientific study uses innovative 3D terrain analysis, visualisation technology and state-of-the-art satellite observations to develop cost-effective risk analysis tools for events such as soil stability and subsidence, flooding in urban areas and restoration of the water-bearing soil layer.